Srinagar, Jan 09 (KNS): Hurriyat Conference (G) while reacting to the statement of the Congress Leader P. Chidambaram, said that New Delhi was ‘not sincere’ about finding a peaceful and lasting solution to the Kashmir issue. Hurriyat said the government of India is yet to accept that Kashmir was "a disputed territory and not law and order problem. Commenting over the Chidambaram’s statement, Hurriyat (G) blamed that Congress party and said that they are responsible for lingering and delaying Kashmir issue, saying its leaders had pledged at national and international level to resolve issue and provide an opportunity to people to decide their political destiny. 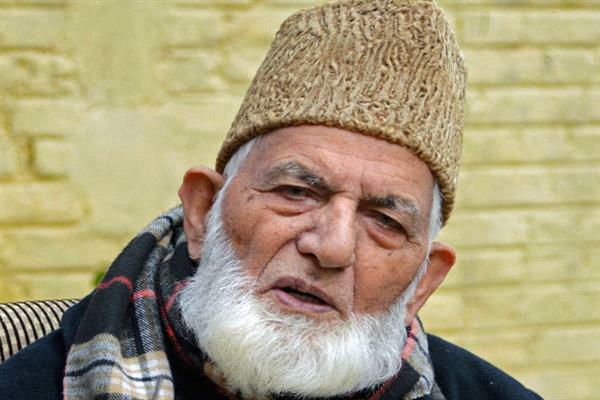 Hurriyat (G) said that people presented unparalleled sacrifices for its resolution and added that congress during its 60 years of rule resorted to every brute and ruthless forces to curb and suppress voices in Jammu and Kashmir, saying that now, they openly recommend the PJP leadership that power and oppression will not solve the issue of Kashmir. Hurriyat Conference (G) said that it is our stand that Kashmir is a political problem and only political measures can resolve this long pending issue. While commenting over the advice of the BJP of dealing with the pro-freedom people with “iron hand”, the Hurriyat Conference (G) said that there is no form of atrocities and cruelty left which the India had not experienced on the people of Jammu & Kashmir during the last 71 years but all these cruel and barbaric tactics failed in changing the status of the Kashmir dispute and nor could it have changed the inner of the Kashmiri people. They were against the forced occupation in the past and they openly challenge it on this day. Hurriyat in its statement said that there is nothing new in the thinking process and pattern of the RSS and BJP. India used its entire military power in the Kashmir and sometimes tried to buy the Kashmiris with different benefit, perks and perquisite but the result is big zero and after about seven decades now only few people like Mehbooba Mufti and Omer Abdullah sold themselves against these salaries and perks and there is no takers of India in Kashmir except these few people and contrary to that the freedom sentiment of the youth of Kashmir is more strong and firm and they won’t compromise on Kashmir issue with New Delhi. Hurriyat further said that if RSS and other fanatic people and parties will continue to pursue their rigid policies even in future, they will get nothing. Every passing day will prove tougher and harsher for them and they will not succeed in suppressing the freedom sentiments of the Kashmiri people. Hurriyat Conference (G) advised the policy makers in New Delhi that they should open their eyes and accept the Himalayan reality and don’t insist on your failed policies on Kashmir. This will benefit the people of this country the most.